When architects redesigning part of the Sky City casino in Auckland decided a panel of illuminated onyx stone would create a strong visual effect, electrical contractors Aotea Electric knew they had a challenge on their hands. Aotea Electric Auckland Ltd had completed a few projects for Sky City before and knew they had to come up with a lighting solution very quickly that would illuminate the 10 x 3 metre wall of translucent onyx from behind so that light passing through it would not only highlight the interesting texture of the stone but also help illuminate the room. One of the most important perception changes driving the new electricity regulations was a clearer recognition that installing electricians are trained for competence in carrying out prescribed electrical work, and not for expertise in safe product design or even expertise in electrical design work. Testing training for electricians does not include the lab testing of fittings against a cited standard, nor does it include testing of designs to see if they would be safe if installed. Yet the legislation held electricians liable for the safety and compliance of every fitting they installed and the installation designs they were contracted by consultants to build. When Don Bowman was just a young sapling deciding whether or not to become an electrician, little did he know that one day his future achievements in electrical contracting would provide a springboard to international success through the development of Greentree business software. Bowman's origins were little different to any apprentice electrician and far from the future world of computers and software. Born up north in Herekino in 1936, the Bowman home was one of the first in the area to have power, albeit from a diesel generator and a massive set of batteries. With the success of the country depending on farming and much of that success depending on the dairy industry, the technology investments Fonterra makes provide benefits well beyond the dairy giant's own operations and will continue to do so for decades to come. Central to Fonterra's approach is longevity and measuring how long new plant and equipment will last and how much it will cost to buy, run and maintain over its service life. 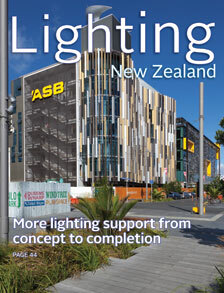 With 28 production sites throughout New Zealand Fonterra is a major user of power and when it comes to storing milk powder, derived from its many drying facilities around the country, lighting is the major user of that power. 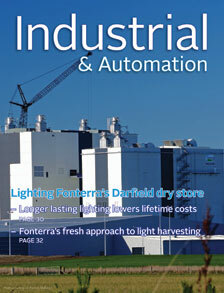 In a drive to cut production costs by lowering the cost of operating its storage facilities, Fonterra is looking to upgrade lighting throughout its plants. The first step is to select more efficient light sources to replace the HID high bays and the second is to make better use of the natural light available and to use dimming to reduce light levels where it's safe and sensible to do so. Suppliers of Arc fault protection equipment report a steady increase in sales confirming there is more work going at the design and construction stage to make switchboards safer to operate and work on live. But while switchgear developments and board design continues to bring incremental improvements to safety, changes to standards and regulations are also playing their part – but more changes are on the way. With a clear target of cutting over 30 percent off The Warehouse's total power bill in each of its retail stores, Wayne Inger looked at the many different T5 fluorescent and LED luminaires on offer but was not satisfied with what he found. Years ago he had upgraded the lighting to better performing metal halide high bays and then to T5, but now the challenge was whether to switch to state-of-the-art LED or to develop a more competitive T5 fluro solution. 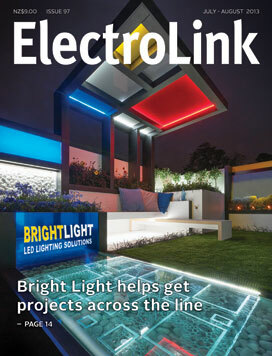 Reticulating direct current to supply lighting was a nineteenth century concept and might now be set to make a comeback due to some recent developments which could change the way we design and wire lighting installations. One of the electric lamp's early inventors, Thomas Edison, favoured reticulating direct current to power his light sources. This would have worked well, if instead of inventing incandescent lamps he had invented light emitting diodes, which rely on DC to make them work. However, when European inventor Nikola Tesla perfected the first electric induction motor around the same time, he provided compelling reasons to use electricity for more than just lighting. And with transforming AC voltage for long distance runs becoming realistic at the time, AC won the global reticulation contest.